Vigorous, spreading, carpeting perennial with lance-shaped, coarse, hairy green leaves. Attractive pale blue flowers opening from red buds and fading almost to white with age. 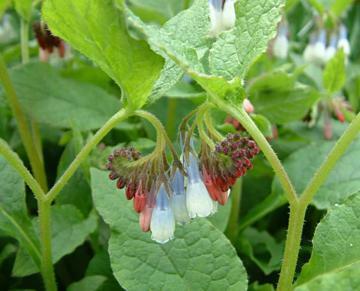 Grows best in moist, reasonably fertile soil in partial shade or full sun if not too dry. Adaptable to most soils and a range of conditions. May become invasive.